We wish the OPEN community a happy holiday season, and a Happy New Year. We are glad to bring you this update on our activities for the second half of 2018. We are supporting 89 students through this scholarship program for academic year 2018-19 (we have a few more applicants, status TBD after 1st semester college marks are available). Students are predominantly in college for B.Com., B.Sc., 3 year Polytechnic, or 4-year Engineering degrees. Most students in this program are poor, with average family income of Rs. 8000 per month, and we only admit new students to this program after income verification and house visits. Our expected spend for the 2018-2019 academic year is $14,000. We are happy to announce that S.Neelavathi, a final year B.Tech. Information Technology student (still in her 8th semester), has already secured a job as software developer with Siemens Ltd, at a salary of INR 5L per year. We hope that the other students in their final year will do as well, but we want to reiterate that we focus overall on providing an opportunity to children, and the success rate of the program needs to be looked at in context of the challenges faced by the children. We continue to hold coaching classes for students in all years in spoken English and in effective communication. Final year students get coaching in Resume writing, Group Discussion, and in effective Interviewing. We are grateful to acknowledge the funding of these classes by Vignesh Educational Trust, the family charitable foundation of one of our OPEN members. We continue working with Vidyarambam Trust to bring their Easy Learning English supplemental program to partner schools in Chennai. 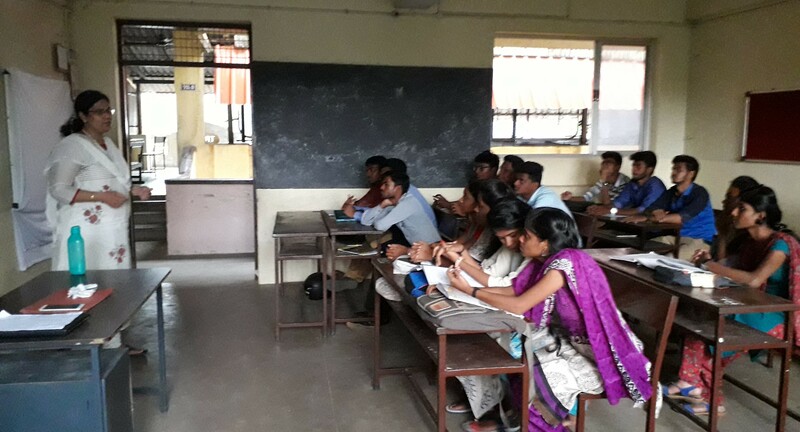 1000 students from 7 schools are being coached in English (classes 6-8) during academic year 2018-19. School administrators see the benefits of the extra coaching that their children get during school inspections - children are vocal and confident when asked to read a passage or do math on the board. 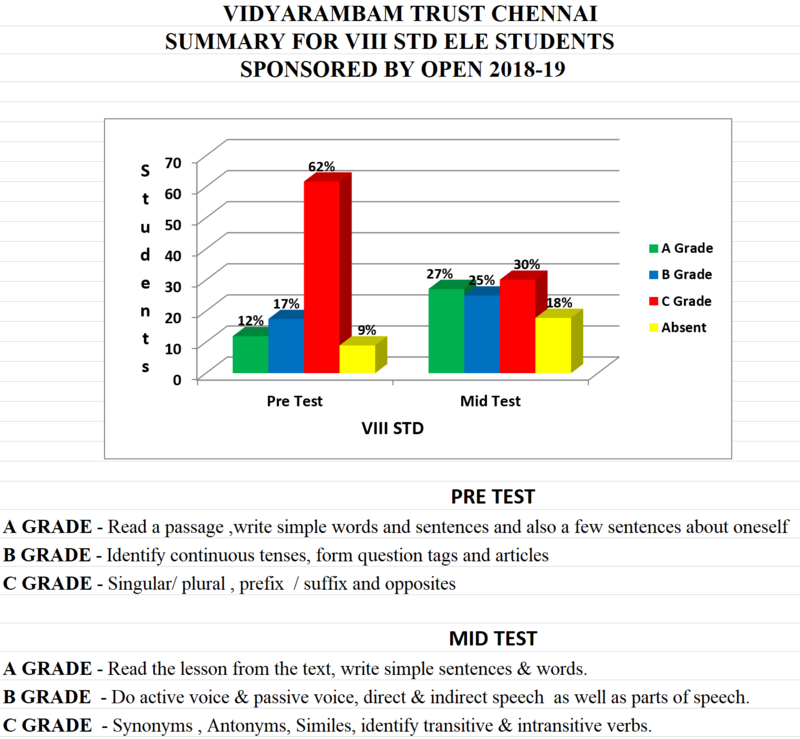 Testimonials from the Headmistress, Chennai Primary School, Mullai Nagar, and the Headmistress, Chennai Primary School, Ekkattuthangal, are glowing in praise of Vidyarambam. Our budget for academic year 2018-19 is $21,100 for 1000 children in 7 Chennai schools, covering English only. The Easy Learning English coaching pre-post comparisons below show the great improvement in performance of the children from the diagnostic phase to the middle test phase, with an explanation of the grades. The Ashraya Foundation runs libraries and Science and Arts clubs at 9 schools in rural Karnataka. We support librarian salaries and salaries for Arts and Science teachers at 6 of these schools. The reading program is open to all students in classes 4-8, and the Arts and Science clubs are open to the best 20 students in classes 6-8 from each school. The reading level of all students is monitored, and remedial instructions are provided to the bottom 20% of each batch. The best 20 students are enrolled in a Book of the Month Club, and get to pick the best books and do book reports. The book reports this year were on Shakespeare's Othello, Macbeth, Merchant of Venice, etc. Ashraya are focusing their intervention on approximately the top 10% and bottom 20% of students. Our budget for academic year 2018-2019 is $8200, and we support 700 children in 6 schools, at an annual cost/student of approx $12. Ashraya recently introduced computer classes in 6 of their schools, taught by a dedicated computer teacher who carries 3 laptops from school to school. Students learn about the parts of a computer, MS Windows and the file system, the basics of Word Processing, Excel, and Internet Search. 32 sessions are conducted at each school per a lesson plan, and live exams are conducted at mid-year and year-end. Click here for an detailed description of the Computer Club, its objectives, and lesson plan. 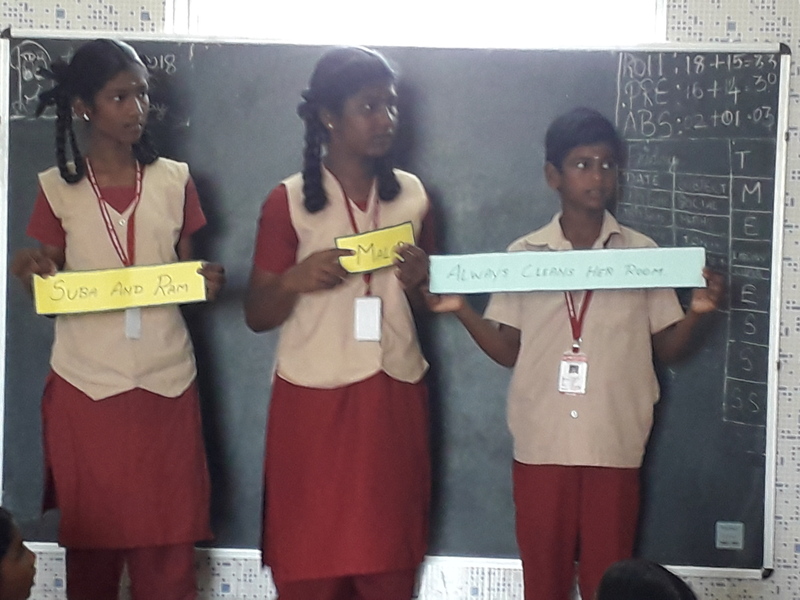 Somasundaram School is a small school with 80 children in rural Tamil Nadu, with 5 teachers (including a vocational teacher) coaching classes 1-8. We continue to fund an additional Computers teacher, who teaches the children to explore the file system in Microsoft Windows, to compose basic documents and change font formatting in MS Word, and to make basic formulae in MS Excel. Children are taught to use MS Paint to make rudimentary art. 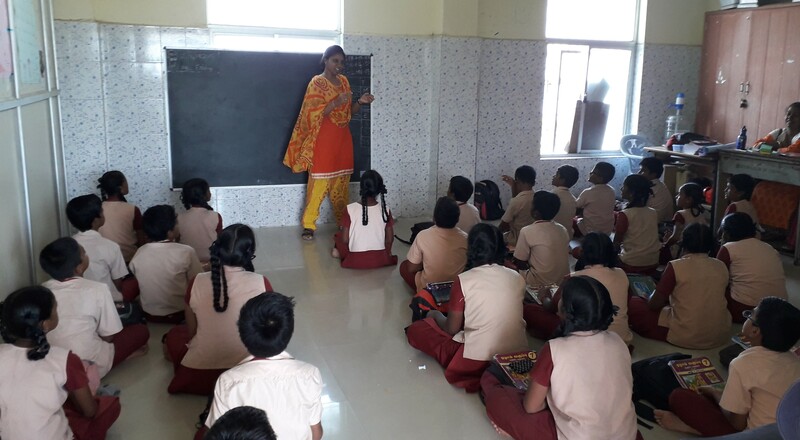 We continue our support of Ganapathy Iyer Girls’ Higher Secondary School, Gopalapuram, Chennai, with tuition scholarships for poor children, and operating expenses for after-school classes (chess, karate) and breakfast/evening snacks. This program benefits 170 children. The Turning Point Trust aims to keep children of slum dwellers in Rotary Nagar, Chennai, in school. The Trust has proposed a new after-school center for 50 children who have been with the program for a long time. We are evaluating this proposal. We sponsor 10 children from the Malleswaram Shishu Vihar, Bangalore, with scholarships for school. We are also sponsoring the school education of 7 children, selected by Samridhdhi, an NGO that focuses on educating migrant laborers' children in Bangalore. The OPEN community has supported over 33,000 students in the past 14 years. 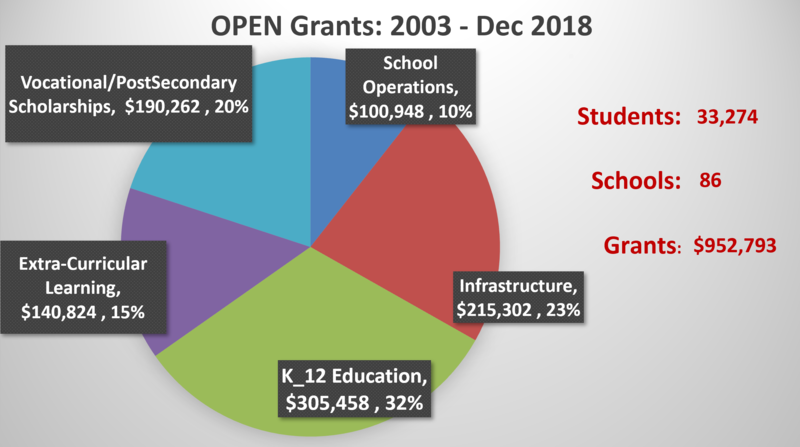 A breakdown of grants is shown in the chart above. OPEN has been registered as a non-profit charitable foundation in India and in the U.S. Contributions in both countries are tax-deductible. As always, our ability to fund these projects depends on your generosity. Contributions may be made online or by check.